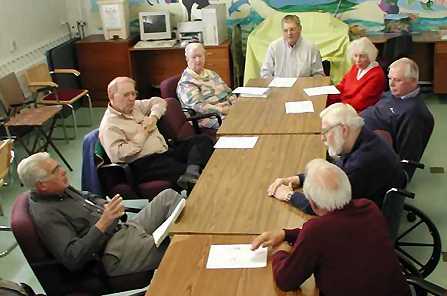 We are an all-volunteer, secular, self-supporting organization that gives New Jersey adults age 55 and older, the opportunity to learn new skills, make new friends, and join a variety of organized, recreational and educational activities. You can visit the Center twice to participate in members-only activities before deciding whether to become a member. Nominally, 9 AM – 5 PM Monday through Friday, but hours vary somewhat, depending on the day's activities. The office is not staffed every day, but if you leave a phone message we will call you back.